On Sunday, December 18, visitors to the little Tikva Record store in San Francisco will have a glimpse of a far larger expanse of formerly lost and otherwise esoteric sounds. The Tikva store is a pop-up, just around for a month. But this far more extensive phonograph record collection is the American Musical Heritage Foundation, and its founder and curator, Glenn Allen Howard, will be spinning in his groove over some of his favorite old Jewish records. The Foundation has over 650,000 LPs, 78s, 45s, cylinders and “related items.” Howard will focus on some seriously “fun” English and English/Yiddish language Jewish-American performances from the 1920s through the 1950s. 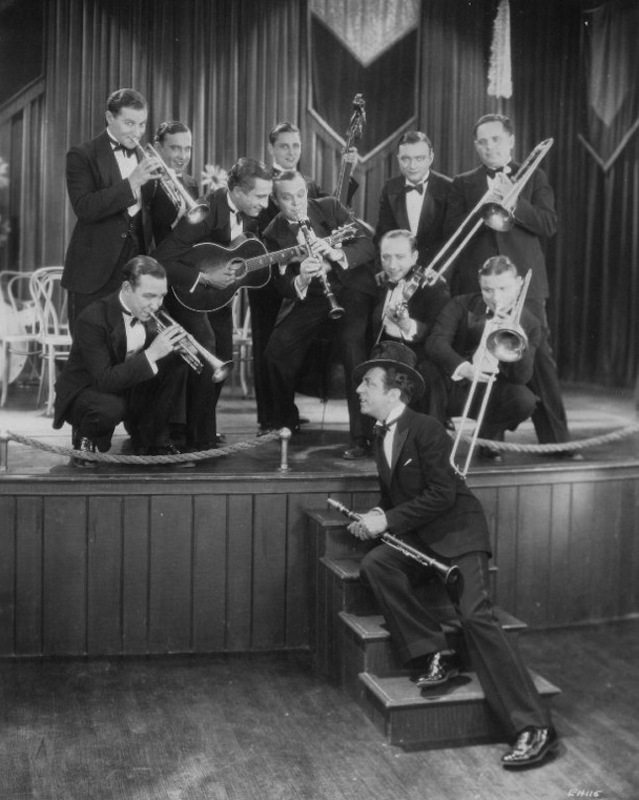 Tikva Records: First, what is the American Musical Heritage Foundation? Glenn Allen Howard: The American Musical Heritage Foundation is a 501 (c) 3 non-profit with the simple mission to build Planet Earth’s record library with a copy of every phonograph record that has survived the wholesale destruction of the last 100 years of being sent to the landfills. Too many treasures are already “lost,” probably forever. The core of it is my own expansive collection, called the Musicians’ Reference Library. The M.R.L. is a scientifically designed “tool” to learn about and to accurately play all styles of music, something that can only be learned from access to the phonograph records and/or the people who made them, if they are alive. The more important a record is, the more likely I’ll have it. From there, we’ve added other record collections including Bing Crosby’s, Jerry Colonna’s, Dr. Richard Alpert’s, and William Saroyan’s, just to name just a few. In addition, I added other perfectly good records, many not as obviously “important,” but still part of the greater interconnected web of musical styles. In 1974 or thereabouts, my friend’s dad died, leaving 4,500 LPs from the 1950s, mostly sealed, and all mint. When I went out to check them out my heart sank: it was the least interesting genre of the early LP era. This was just after the glory days of buying cutouts, when I was buying Ike and Tina Turner on Sue, James Brown on King, and all these sealed old jazz, folk, and rock LPs really cheap, because they were not stereo. My friend’s dad, at the same time, was buying up easy listening music like mad. I mean, this was the instru-mental case old smoothies for people who were too senile for lyrics and singers — background sounds for folks for whom Frank Sinatra was way too intrusive. It’s still quite a collection of that stuff, and one of the things he had was Bagels and Bongos, by the Irving Fields Trio. No one bought anything, so I got the whole thing for a song, pulled out a few things that looked interesting at the time, and put the rest in deep storage. They survived because even though they weren’t worth money at the time, I realized they were somehow important and shouldn’t go to the landfill. Tikva: So the Foundation is not just ephemera? Howard: Heavens, no! Ephemera, like metadata, is way overrated. It’s mostly about analog records, the rest, even the books about music, the sheet music and poster art aren’t as important as the records. It’s the power of the music that generates the interest in the emphmera and metadata. I was well aware by the late 1960s there was all this new old stock around, all these new old 78s and 45s, especially, but if it wasn’t rock ‘n’ roll, like Elvis or the Beatles, no one wanted it. Tikva: That’s an interesting phrase. What’s a new old record? What is “new old stock”? Howard: New old stock: it’s unsold records in distributor warehouses. Understand that when the LPs came in, millions of unsold 78s were left behind to gather dust in warehouses until I found them or they were thrown away. As a poor kid, I figured out that they wanted the warehouse space more than they wanted “big” money for the records. I’d pay ‘em a peanut or two, haul them all away, and leave them happy with an empty warehouse that could store something that generated some money. I totally raked during that brief window of time. Tikva: And there are, I have heard, 650,000 of these records at the Foundation? Howard: So far, but more are coming in all the time and that’s just an estimate based on the former executive director’s measurements. More than half of them are in dead storage in a building that is 4000 square feet which isn’t nearly large enough to put the whole collection up on shelves. They are safe and sound in a climate-controlled building until funding comes along to make it all accessible. The core collection of about 180,000 records are completely organized and way too much fun to be around. Tikva: Oh, like how Nicholson Baker measured the shelves in the San Francisco Public Library. Here’s another number question: What is it you mean by “the 51%”? Howard: I was always aware that especially as a WASP-American, I wasn’t ever taught to be aware of our American culture at all. We’re always being sold “new, new, new … Have you heard the latest?” And there’s all this media push that we should keep up, and be hip to and buy the latest thing. I guess I’m about as late as I can get, because I believe all this old stuff is way more fun and new music is anything that you haven’t heard before — not just Lady Ca Ca or whatever hacks they’re hawking right now. I was a science guy — that was my real skill, from about 5th grade on I was a willing victim of the post-Sputnik “education as defense” U.S. education policy: “You will be a scientist,” took hold on me, especially growing up around the Stanford campus. Anyhow, I followed, scientifically, all the obvious connections of rock and roll from black music and country music, and then the less obvious connections, like white pop music’s influence on black culture. That influence exists, too, a lot more than people realize. Both Charlie Parker and B.B. King are huge fans of Gene Autry. Everybody went to the movies and heard the radio, and they liked it. Still, I became more and more aware that the biggest and least acknowledged influence in all kinds of American music was Jewish. Tikva: So what’s with the “51% Jewish”? Howard: Within a few years of collecting old records I realized that just about everyone but Cole Porter and Johnny Mercer of the old-school songwriters were Jewish, and on and on with Bob Dylan and half the folkies, half the rock musicians, and all like that. Then there’s the publishers going back to the the sheet music publishing — I’m talking 120-years-ago and then the furniture people that sold folks Victrolas who then had to make records for their phonograph customers and became the earliest record companies. Most of the early record collectors of every genre were Jewish — even the first hillbilly 78 collectors. The first non-southern bluegrass musicians were Jews like David Grisman and that genre is sometimes referred to as Jewgrass. I’m just a WASP who got a clue from listening to all these great old records. Tikva: So, this is your outsider status. Howard: R. Crumb told me last time he visited the AMHF library that it’s guys like me and the “collector-musicians” who are the real ethnomusicologists. We’re outlaw because we have no stinkin’ badges, like some kind of univershitty degree in something completely unrelated to records because they still don’t have a college-level major about our own country’s musical heritage. Some of us just taught ourselves by building record collections and gleaning the real knowledge that can only be gotten from the grooves of our old flat friends and by hanging out with the old cats who waxed them. Tikva: You’ve said that records are real magic. Howard: What most folks still don’t get is that records are real magic — they are the first invention for capturing and storing peoples “souls.” I can actually invoke the spirits of the people who made a record just by teasing the grooves with a phonograph needle, and all of a sudden they are in the room and communicating with us for real, even though they might be legally dead. They can touch you in a place so emotionally deep and better than any other art form, since music is the Muse. These people are immortal, but only if their old records survive. Even now, as we move into the last decade or two of it still being possible to collect records and whole collections, people, collectors and even many of the non-outlaw archivists are still throwing them away for not being of obvious historical importance and/or worth money. 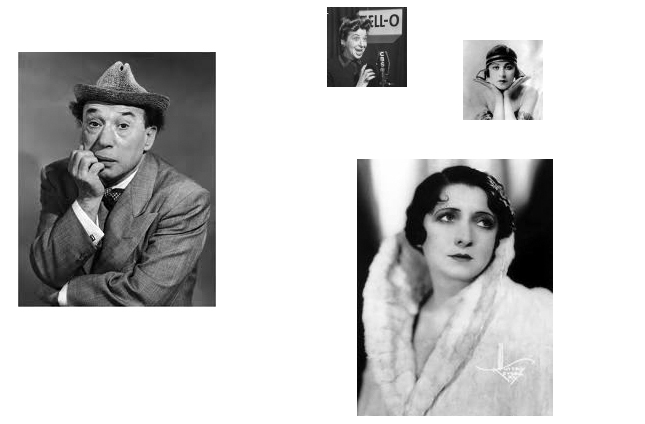 Clockwise from left: Menasha Skulnik, Fanny Brice (old and young), and Jennie Goldstein. Tikva: And what will you be sharing on Sunday? Howard: Mostly Jewish-American classics and novelties, most of it in English so we can all get the jokes. Kosher Katz and Kittens is one of the many still unreleased reissue compilations I put together over the last 35 years of some of the greatest music recorded that people generally don’t know. “You Don’t Have to be Jewish” to get into these treasures I’ll be playing. Resistance will be futile because this is music that generates tons of endorphins and will be presented in glorious analog sound. I’ll be playing some of the earliest and best Mickey Katz Victor 78s, Molly Picon, Ted Lewis, Aaron Lebedeff, the Barton Brothers, Fanny Brice, Menasha Shulnik, and like that there. Goy Vey! Read more on the event at here.